20 mm/85 (0.79") GAM-BO1 on HMS Invincible. Note that the trunnions do not adjust for height and so the gunner needs to be strapped in so as not to fall over when firing even at modest elevations. IWM photograph SFPU-N-2152-17. 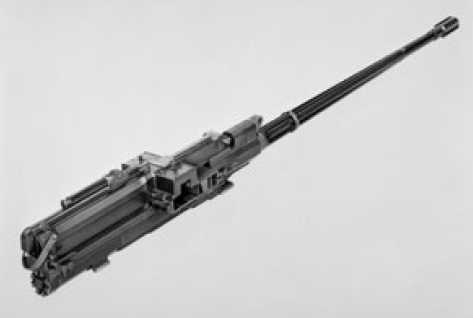 This is the Oerlikon KAA cannon used in a manually-controlled mounting built by BMARC (British Manufacture and Research Company) under the designation A41/820. 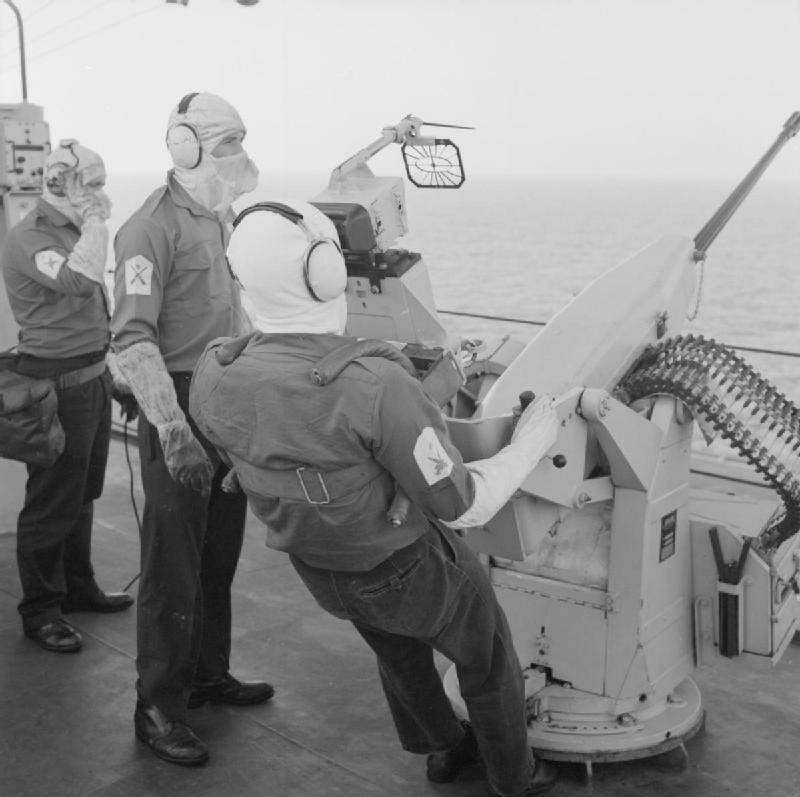 Installed on many British warships after the Falklands War stimulated renewed interest in light machine guns. 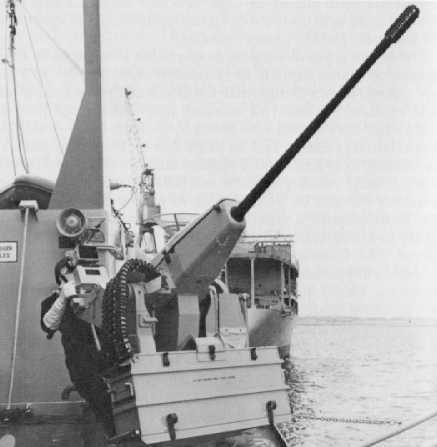 "This cannon is essentially equivalent to the World War II Oerlikon 20 mm gun, with a higher muzzle velocity" - Norman Friedman in "The Naval Institute Guide to World Naval Weapon Systems 1991/92." 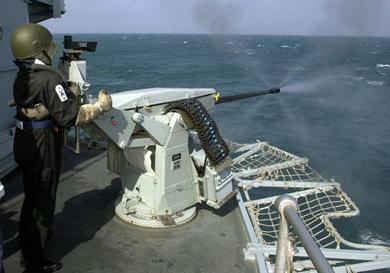 20 mm/85 (0.79") GAM-BO1 on Royal Navy Warship. Photograph copyrighted by Oerlikon Contraves AG. 20 mm/85 (0.79") GAM-BO1 on unidentified Royal Navy Warship. Royal Navy Photograph. 20 mm KAA Cannon. Photograph copyrighted by Rheinmetall AG.